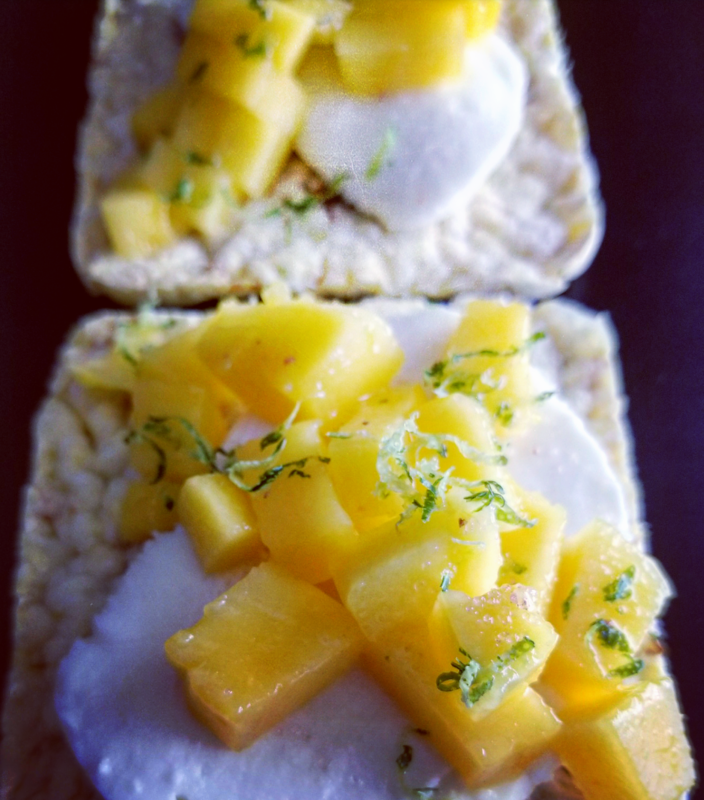 Place on top of a thin corn cake [gluten free], tostada shell, tortilla chips & the likes. Make mini taco shells to fill with this yumminess! ** Take tortillas & lightly brush on EVOO, Avocado oil or melted butter. Using small round cookie or biscuit cutter, cut small circles out of the tortillas. Turn a cupcake pan upside down & fold tortilla circles into the creases between the cupcake molds, like mini tacos. Bake at 350° for 5-8 minutes. Then once they cool, fill with the good stuff! Just make sure to cut down the mozzarella further if you’re trying this! 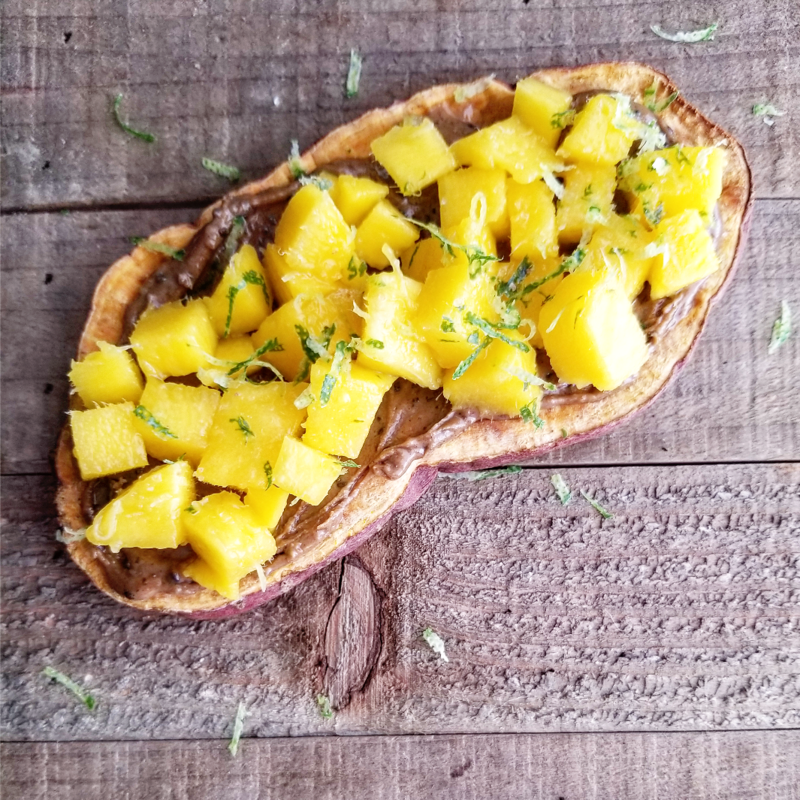 If you want a VEGAN option, just like I shared in What to do with Thanksgiving Leftovers: Sweet Potatoes, you can add the mango, lime zest & salt to sweet potato toast & nut or seed butter instead! !